"What does the Lord require of you? But to do justice, love kindness, and walk humbly with your God." 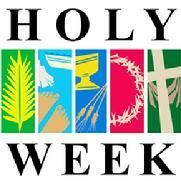 Holy Week starts April 14th with Palm Sunday.